It was a normal day. You had your gear on, and you were ready to go for a ride. Only problem was when you got outside your motorcycle was down, wheels up. Consider your good day gone. I don’t know about other cities, but I know I’ve seen this sight far too many times in Los Angeles. It has even happened to me. I feel like there are three natural responses for most four wheel drivers when they knock over a motorcycle. 1) They’ll try and pick it up, then leave. 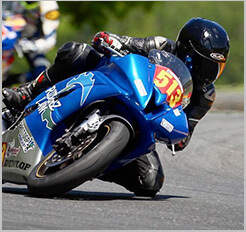 2) Leave the bike down and take off. 3) Wait around or leave a note to make contact. Now that last option, I’ve never seen or heard about second hand, but I have faith people do this. When my bike was knocked over, I had the unfortunate pleasure of watching the woman hit it with her SUV. Apparently she didn’t see it in her hurried state. 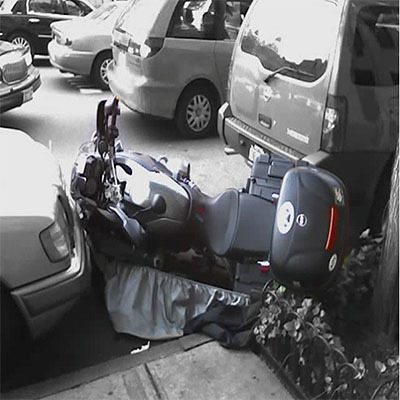 There’s no foolproof solution on keeping your motorcycle untouched while gambling with street parking. I literally watched a driver repeatedly bump the cars in front and behind her, in order to get out of a space. Which just goes to show, there isn’t a great deal of respect for vehicles in LA. To give my motorcycle an extra boost of safety while I’m away, I try to leave the cars around me a little extra space. The recommended amount of space in driver’s manuals is two feet. I leave a little more. Some would say I’m leaving too much space, but I feel there’s no such thing when considering a really bad driver may be trying to parallel park near me. It’s really a public service as I’m giving them the best chance to succeed at parking without clipping my bike. 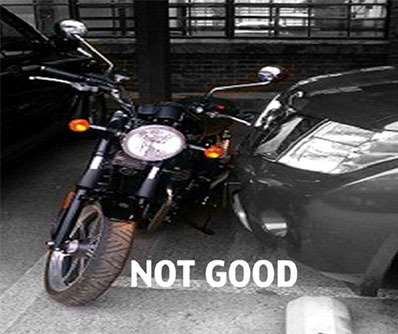 Remember, it only takes a tap from a car to knock your motorcycle over. A fall that could cost you hundreds to thousands of dollars in repairs. Because as stated before, the odds of a driver sticking around to claim responsibility are slim. At work, my co-workers will call me to come outside, and help them park or get out of a space when they’re next to a motorcycle. A task I’m always happy to do because I encourage people to ask for help before they wreck someone’s beloved motorcycle. Sadly, not everyone thinks this way, and accidents do happen. 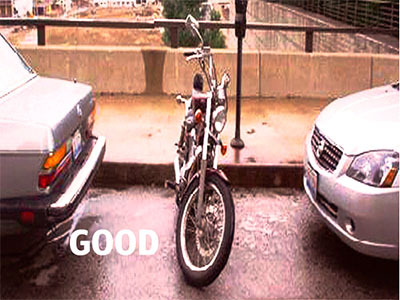 Take up the extra space, protect your bike while street parking.